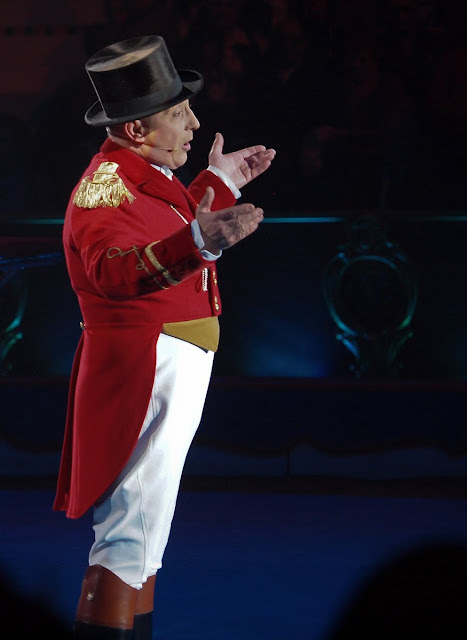 Our last day at the Monte Carlo's Festival of Circus and all the fabulous artistes including the Ringmaster, Petit Gougou as Monsieur Loyal, wave us goodbye. Thanks so much to everyone who enjoyed the spectacle with me. I have truly enjoyed this series! What great photos you have shown us! Fun to view the circus, a sad day when it leaves. Wow Jilly, I've just gone through your circus series (sorry I'd missed the lot) - it's absolutely gorgeous! The quality of your shots is just amazing, make up in skin cracks, dance shoe details and all.